For CIG and the Colorado Department of Transportation’s (CDOT) Drive High, Get a DUI campaign, things really gear up around 4/20, the unofficial marijuana holiday. This year CIG and CDOT, along with fellow agency Amélie Company, implemented a lot of really cool and innovative tactics to encourage cannabis users to think ahead and plan a safe, sober ride before they get high. 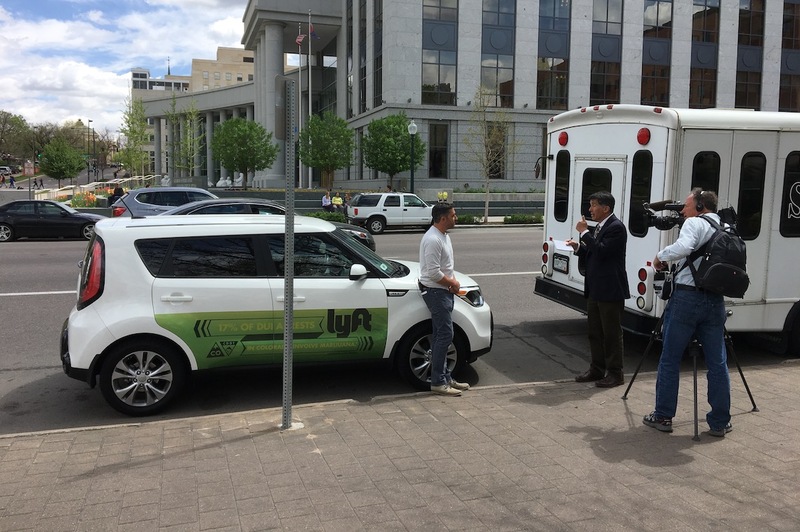 We supported the “320 Movement,” a partnership between CDOT and Lyft, which started on March 20 and involved 17 Lyft vehicles wrapped with green “Plan a ride before you’re high” messaging. Riders picked up by one of the wrapped vehicles received free or discounted rides — and it was our job to let them know about it. We did some traditional media relations with help from one of our own CIGers, who is also a Lyft driver and volunteered to have her car wrapped (Thanks, Terri!). She even offered to give Vince Hernandez from Channel 7 and his cameraman a ride-along on 4/20. Lance Hernandez interviews Lyft spokesman Gabe Cohen. The most fun, though, was making the Mile Marker 420 sign hunt. CDOT worked with Lyft to give away free ride credits at Red Rocks. 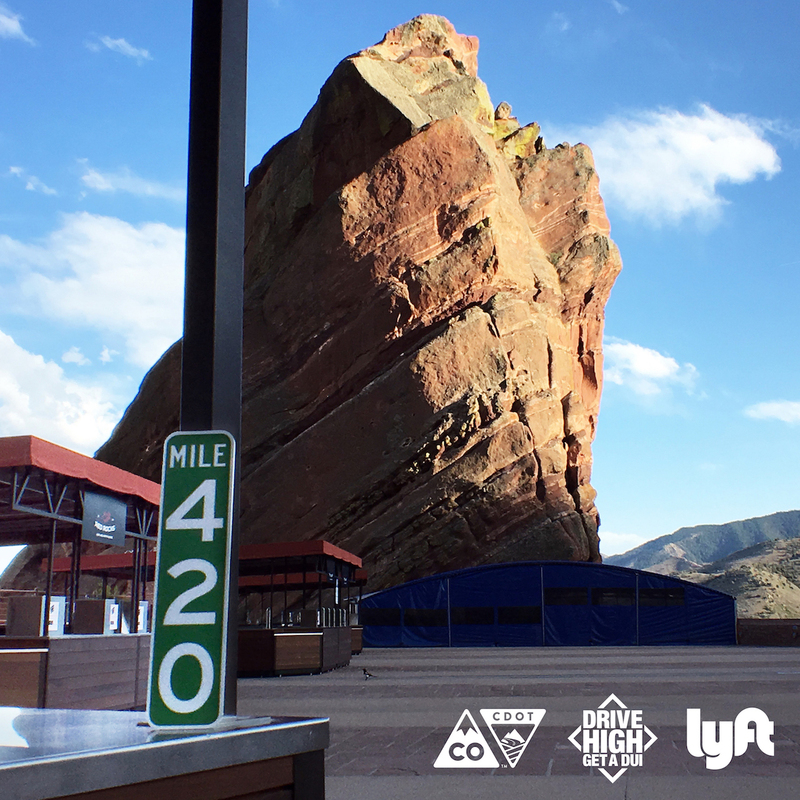 We hid more than 100 of these mile-marker replicas, each with $42 in free Lyft ride credit on the back, in and around 4/20 events in the Denver area — including the Method Man/Redman show at Red Rocks. And of course, it wouldn’t be 4/20 without getting in on the massive 420 Rally in Civic Center Park in downtown Denver. CIG and CDOT made some snappy new videos meant to dispel common misconceptions about driving high. Did you know that 55 percent of marijuana users in a 2016 CDOT survey said they believed it was safe to drive under the influence of marijuana? Overall, it was a good year and a great campaign. Thanks to all involved! In truth, it was a real high point of our year. You could even say it was dope. OK, we couldn’t resist.